Organised, produced and recorded by students, with Samosa Media and Three Blokes Productions. 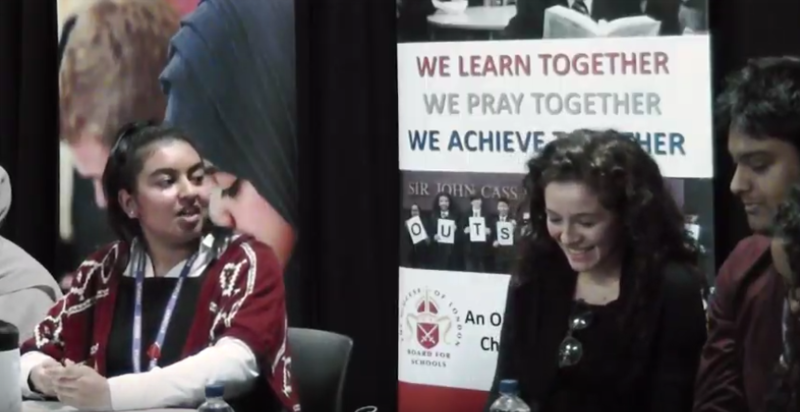 This Question Time was developed through workshops run by Samosa Media with students, then produced and filmed by the students themselves. The event followed the format of the popular BBC show Question Time. The workshops were held to prepare for the film, support the students, encourage debates and academic development by providing a platform where students can express themselves openly and without prejudice. This event was developed through a series of workshops run by Samosa Media with students on politics, history, journalism and culture, then produced and filmed by the students with support from Three Blokes Productions.